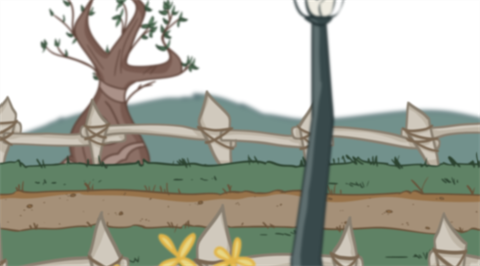 Use the Focus effect to set up depth-of-field effects for your scene. The Focus module is used to determine how much blur will be applied to images, based on their distance from the focal point. The focal point can be the zero value of your scene or you can link the Focus module to another module, such as a drawing or peg layer, to retrieve the focal point from the module's Z-axis position. 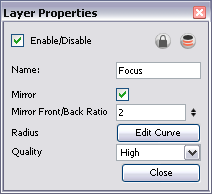 Use the Focus editor to determine how the focus will change as objects move farther from the focal point. • Mirror: Select this option to also blur images in front of the focal point. • Mirror Front/Back Ratio: When the Mirror option is selected, this ratio is applied to the calculation of the blur on images in front of the focal point. The default ratio of 1:2 produces realistic results. Experiment with different values to create customized effects. • Radius: Controls the amount of blur applied to an element based on its distance from the focal point. 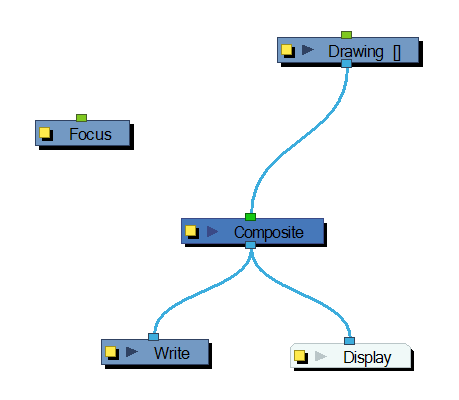 Click on the Edit Curve button to change these values by adjusting the function curve. • Quality: Controls the quality of the blur. A higher quality will achieve better results but will be slower to render. In the Side view window, you can see how the blur values change based on their distance from the focal point. Select the Focus module in the Network view, then right-click on the Side view window and select Control from the pop-up menu. If you edited the function curve and adjusted the velocity, you can also adjust the Bezier handles in the Side view.